It has been another successful edition of Battle Recharge for the Oliver’s Real Food Racing team. 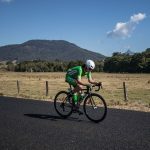 Green Team young gun Nicholas White finished 5th overall at the event after a strong showing on the final day of racing, with a top 10 in the 9.1km Individual Time Trial, followed by a 3rd place in the afternoon’s final stage criterium. White also took home the King of the Mountain’s jersey as the tour’s best climber. 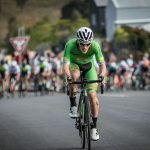 The overall classification was shaped by a very fast and furious stage 1, as the National Road Series recommenced after a 2-month winter break. 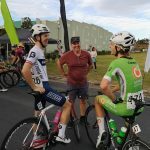 Eventual stage winner Ryan Cavanagh (Team St George Continental) was part of a two man breakaway with Ayden Toovey (Bennelong SwissWellness Cycling) which gained an advantage over the peloton early in the stage. 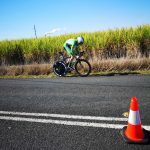 A 9 rider chase group which included White broke away from the peloton with just over 40kms to go in the 130km stage which managed to bring the gap down to the two leaders 45 seconds. 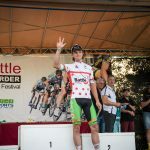 White finished 4th on stage, while teammate Thomas Bolton sprinted to 14th place on stage which placed him in the best young rider jersey which he would hold onto for a day. 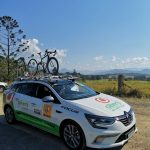 The 138km stage 2 on Saturday saw White lose 2 places on the overall classification. 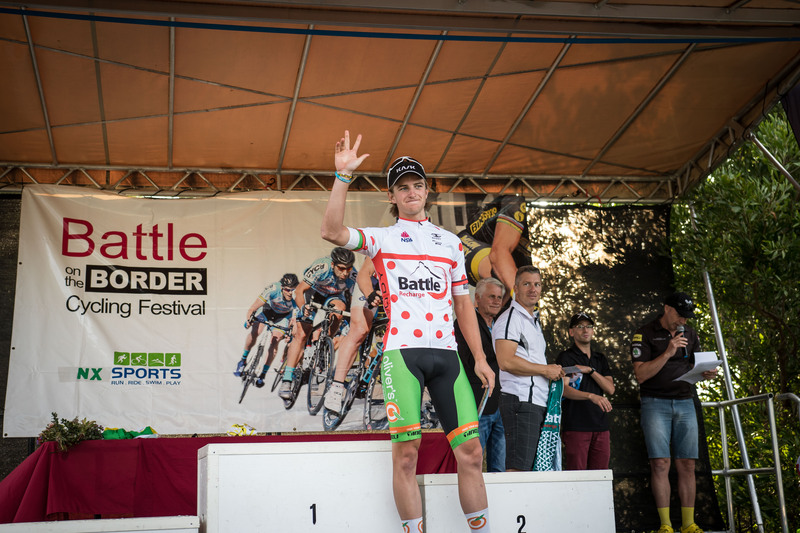 But the Ballarat boy who has just returned from a month long block of racing in Belgium during the Australian winter break fought back in Sunday’s time trial and criterium to 5th place overall. Just 2 seconds off former teammate Ryan Thomas (Brisbane Continental Cycling Team) in 4th. 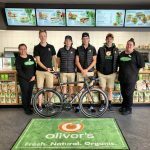 The Oliver’s Real Food Racing team finished 4th overall in the teams classification. 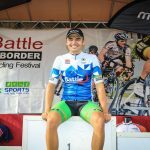 The place reflects the team’s standing in the overall National Road Series Rankings, while White sits 5th overall in the individual rankings, and is the best placed young rider under 23 years of age.